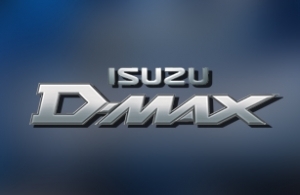 In 2012,an advertising company, a major partner of intros.gr, designed a promotional campaign for Isuzu D-Max, part of which was a Facebook competition. The development of both the campaign and the competition were assigned to intros.gr. The promotional campaign tried to prove that Isuzu D-Max has the lowest fuel consumption in its category. They desided to fill the fuel tank of Isuzu D-Max, and start a trip around Greece, in order to find out how many kilometers would travel. The application developed by intros.gr, would give the opportunity to the users to watch real-time on line the trip of Isuzu D-Max around Greece, through facebook fan page of Isuzu. User could check, any time, how many kilimeters the car had traveled and the remaining fuel. For this special application, intros.gr cooperated with itrack company, which provided any hardware and software needed in order to monitor the vehicle. The succesfull cooperation of the two companies make the application come true. Users could find any information needed i.e. the route travelled, the kilometers driven, the fuel consumption.